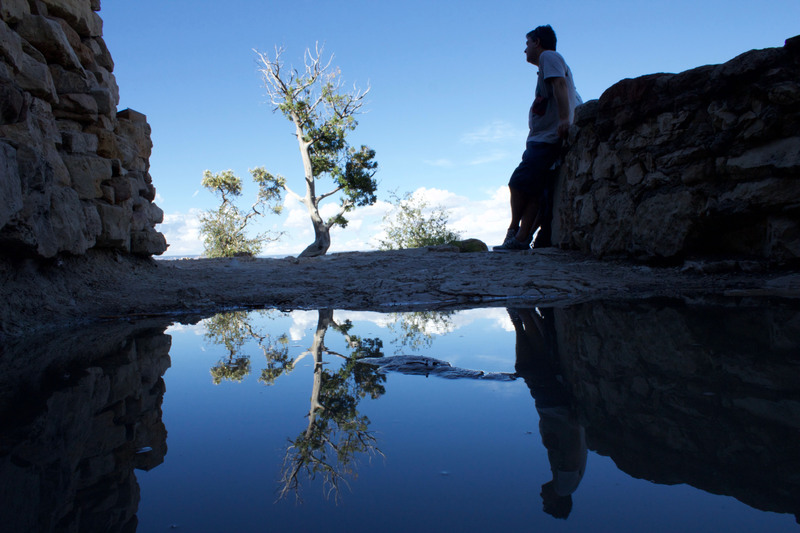 GRAND CANYON – An aging pipeline bringing water to residents, resorts and 6 million visitors a year at the Grand Canyon has broken about 80 times since 2010 and needs a multimillion-dollar replacement, park officials say. Officials have sutured the breaks over the years, but that is no longer enough, said Kirby-Lynn Shedlowski, Grand Canyon spokeswoman. She said it’s time to go beyond patchwork and spend up to $124 million to replace it before a major disruption of water service at the international tourist draw. “It’s been used long past it’s expected life plan,” Shedlowski said. The Trans-Canyon Water Distribution Pipeline, built more than five decades ago, has had breaks brought on mostly by seasonal changes, from severe winters to summer’s heat. The water for the 18-mile wide Grand Canyon serves millions of visitors from around the world and more than 2,500 residents who rely on it for drinking and household uses. The National Park Service, which wants to hold down costs and avoid disrupting visitors during pipeline construction, opened public comment on two plans in July. It is seeking feedback on just about anything regarding the pipeline, whether trail closures during construction or pipeline design, Shedlowski said. Officials expect to announce a plan in 2018 and to begin working on the project by 2019. The parks service estimates the project will cost between $75 and $124 million. But those estimates are preliminary, according to spokesman Jeff Olson. The funds would come from the federal budget as well as park-entrance fees. The agency has spent more than $7 million on repairs in the past three years and is expected to spend about $15 million this year, Shedlowski said. Both proposals would replace parts of the current line. Officials want to “install a new water intake system, build water treatment facilities, and replace parts of the pipe” throughout the 12.5 mile line, Shedlowski said. One plan would include a new water intake system, new water treatment facilities, using smaller pipe where possible. The other plan would replace most of the pipeline and keep the remaining part of the existing pipeline. Construction would be conducted in phases. The plan is to make the changes without disrupting the flow of the water supply to different parts of the Grand Canyon. 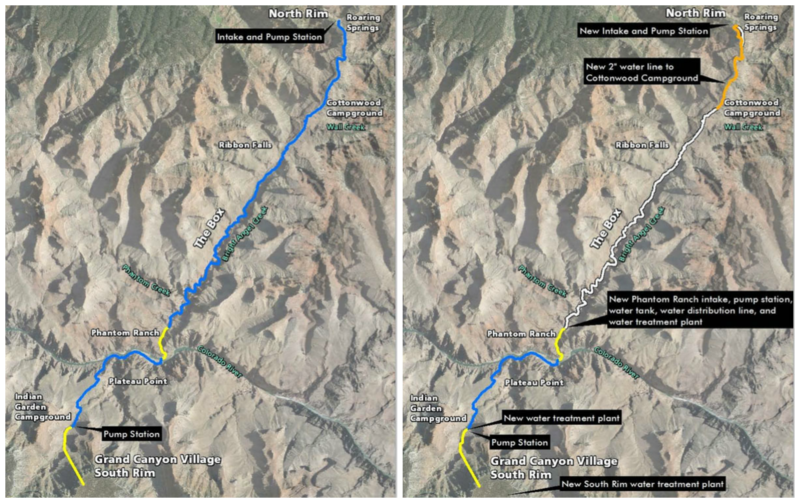 “Visitors may experience trail closures in areas where the pipeline is throughout the canyon,” Shedlowski said. 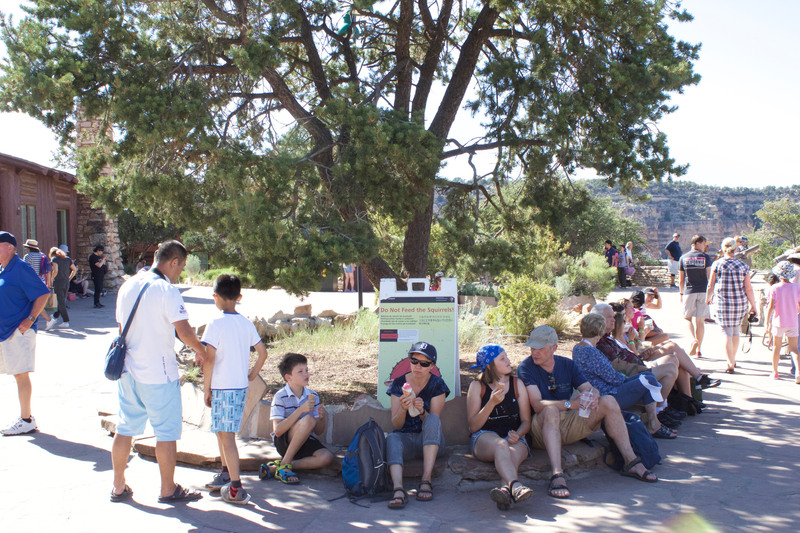 Detours to other trails or temporary trails will allow visitors to hike the canyon. The canyon park started with about 35,000 visitors when it opened in 1919, according to its website. Nearly 6 million visited the park – paying entrance fees for camping, biking, hiking and sight-seeing – in 2016 and that pace is growing this year, according to the park. Busy seasons have brought in more than $400 million to park revenue, according to a 2013 National Park Service report. Most international visitors came from Switzerland, the United Kingdom and Netherlands, according to a 2005 Arizona Hospitality Research Center study. 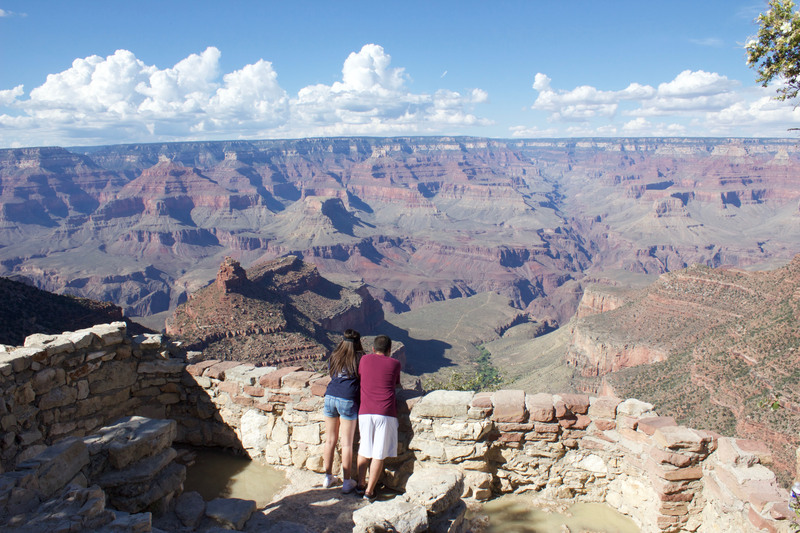 Gina and Chris Hutcherson have visited the Grand Canyon several times, bringing their children and enjoying the canyon during the day and at night. They said the view at moonlight is exquisite. Still, they have never experienced water restrictions to the area. “It’s always been fine,” Gina said. The National Park Service said pipeline consruction would be done in phases and with little interruption to visitors. 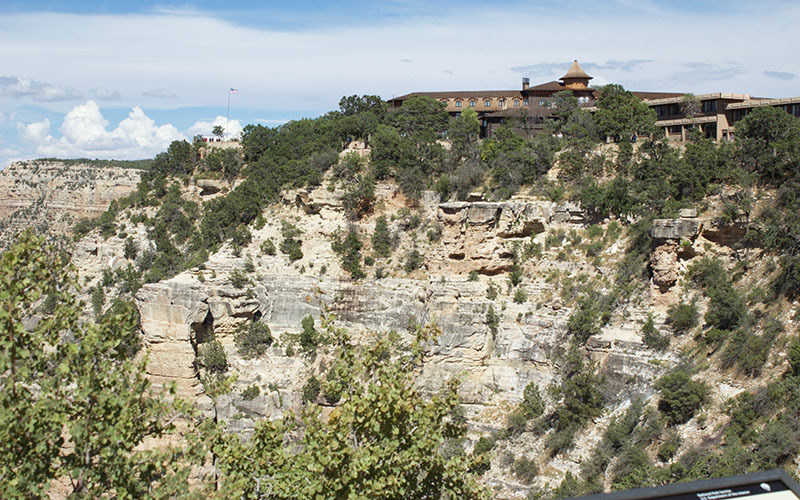 But an executive for Xanterra, which operates six lodges at the Grand Canyon, said water use has been restricted two to three times a year in recent years. He said resort managers have had to implement water-restriction plans to prepare for the times the pipeline breaks or pumps fail. They have had to turn away guests. “Some people travel from so far and have planned trips here for so long it’s hard to explain to them that things like this happen,” Brossman said. Brossman, who has been with the company for nearly 20 years, says it’s inconvenient but doesn’t halt business. But he’s rooting for a new pipeline. “Its easier when we know that closures are coming and can plan for it rather than being told with short notice that there’s problems,” he said. Last summer a major break in the pipeline led to two-week water restrictions at resorts and homes. People were asked to cut back on full loads of laundry or washing cars and to water yards only at night. The restrictions stopped just short of asking resort managers to serve food on paper plates to avoid dishwashing, Shedlowski said. She said there have been about 80 other breaks over seven years. Minor breaks occur more often and cause water reserves to kick in. About $255 million has been set aside in the parks budget for water maintenance. “Pipeline breaks in the remote canyon, accessible only by helicopter or trail, take days or weeks to repair,” according to a park service news release about the pipeline. If the pipeline isn’t reworked park officials will continue to patch the pipeline. That could mean bigger breaks in the pipeline and more severe water restrictions lasting two to four weeks, the park service said. “We’re not going to wait for a break so big that we have to close the park,” Olson said.